After decades of massive social change, a lot of it tempestuous, it seems we have settled more or less into a new norm as a society. It’s a good time to take stock of where we are and set a course forward. It’s also a good time to think about stepping up our game. The success formula for the early church was: Good deeds + Evangelism + Community = Church Growth + Social Change. So with that formula in mind, let’s look at good deeds, evangelism, and community and see how we can step up our game today. 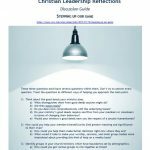 This blog is entitled Christian Leadership Reflections and I need to stress the word Reflections. As I make various observations and suggestions in this post and in others to come, I offer them as the best thoughts I have to give to the church based on my reading and reflection. Many issues are complex and nuanced, so my posts are meant to stimulate deeper thinking on your part as a follower of this blog, and hopefully to inspire people who have thought a lot more on these topics than I have to run with the ideas and offer their proposals and guidance to the church. I will soon be adding a series called Voices to my blog which will consist of posts by leading Christian thinkers who are addressing the topics covered in my blog’s category labelled Community Leadership. This is the category I’ve used for the last year and a half for all my thoughts about the condition of the church today and my suggested strategies for the future. I also offer my suggestions knowing that I do not perfectly model them yet. As I’m thinking about what needs to change in order for the church to be more successful today and in the future, I’m having to think about what changes need to occur in my own life. For example, what do costly good deeds (which I recommend below) look like for me? What do I know about creation care, pipelines, and the many stresses human behaviour places on our planet’s ecosystem, and my part in that? As I think and write, I am doing my best to find ways to implement in my life what I’ve been writing about so that I can say that I’m practicing what I’m preaching. We are all moving forward together a step at a time as we reflect on what we the church need to be if we are to accomplish Christ’s purpose for his church. As a result of the overwhelming success of the early church in changing societal values, the ideas of human welfare, of compassion and mercy, and of social justice now permeate our society. Doing good deeds with no strings attached was unheard of in Roman society because all relationships then were governed by the patronage system. The opposite of the patronage system is called disinterested benevolence, and that is what we have in today’s society. Disinterested benevolence is no longer a distinctly Christian activity because many secular people routinely perform good deeds with the same altruism as Christians. Doing good is just what caring people do. In addition, the modern welfare state is the fruit of our advocacy in previous centuries, and it has taken responsibility for many of the kinds of good deeds performed by the early church. We can and should still do good deeds as we see opportunity, but if we present them as the definitive proof of the goodness of our faith, we won’t be persuasive. We should do good deeds because they are intrinsically good things to do, not because we are using them to fulfill an ulterior motive such as evangelism. What got the early church noticed wasn’t its good deeds alone. It was the kind of good deeds they did. The early church attracted great attention because they did good deeds to help individuals even when doing them was costly to themselves. 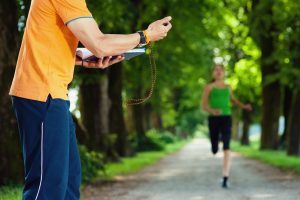 Helping an older person cross the street is a good deed, but not a very costly one. One of the costly good deeds the early church did was to rescue unwanted babies from the rivers where they had been tossed to die. They adopted them and raised them as their own children. Their willingness to make significant personal sacrifices to support their good deeds gave them a lot of moral authority. Another way of doing good is at the group level, promoting justice for entire classes of people. Again, we should lead the way by doing this even when it is costly for ourselves to do so. Most Evangelicals today are committed to justice as a critical part of God’s mission, but in Return to Justice: Six Movements That Reignited Our Contemporary Evangelical Conscience authors Rah and Vanderpol note that the justice issues we usually choose to engage with do not require much, if any, personal cost to us. The authors note that, “It is much harder to advocate for a cause that calls for personal repentance than one that only requires fighting a common enemy.”5 Repentance requires a true change in how you live. That can be costly. For example, supporting efforts to end slavery and child labour in other parts of the world is in one way quite easy; we just do what we’re already really good at and make a charitable donation to support the cause. But if the church wants to be at the forefront in doing good, then we should do more than just give, and stop doing anything which actually supports the injustice which we’re trying to end. It’s counter-productive to donate to help end slavery and child labour when at the same time we buy goods which they produce. True repentance means we turn from a desire to get a good shopping deal for ourselves to a willingness to pay more for products which are made with fair labour. Christians should invest in learning more about those complexities so we can be smarter in terms of how we do good deeds. One great example of getting smarter about doing good is World Vision, which started out serving individuals needing help. It changed how it works as it learned more about poverty and the systems which support it. Their portrayals of the poor “moved from a focus on suffering and brokenness brought on by the fall to an emphasis on the image of God that is present in every human being.” They now see the poor in the light of the potential God has given them and that has changed how they help people. Anyone wanting to develop a passion in their congregations for more than just handout programs will benefit from the Return to Justice book. It highlights six Christian movements/organizations which have reignited the Evangelical conscience in terms of justice issues. The book traces their development to show how they matured in their thinking and changed the way they work. In each case, they now deal with the systemic issues which keep people in tough circumstances. We can likewise use what we have learned to better critique the social systems and structures which created the conditions in which poverty can exist. This may sound radical to some, but do we believe that God made a world with enough resources for everyone to live a decent life or don’t we? If people are in poverty in God’s world, something is broken and the church needs to act and contribute to fixing it! The gospel message is about more than the afterlife, as important as that is. The ‘more’ part is actually the reason Christianity is growing so quickly in the Southern world today. People want redemption in this life. If everything we say to people when presenting the gospel concerns only life after death, then we miss the power of the gospel to change the way we live in this life. What attracted people to Christianity in the first few centuries wasn’t its other-worldliness but its prospect of a new, better, life in this world, right here, right now! Salvation makes us right with God and has its eternal rewards, but it also enables us to fulfill the petition Jesus taught us to pray to his Father: “Thy will be done on earth as it is in heaven.” We must take the time that is left to us in this life to do God’s will among our families, friends, and workmates. While we should talk with individuals about their souls, evangelism includes the potential to speak prophetically to the public about the meaning and significance of our lives in the here and now. This is very much in line with the great Christian commentators of the past, such as C.S. Lewis. The early church was powerfully effective at evangelism because individual believers had had powerful encounters with God, and they knew with absolute certainty what God can do to change lives because he had changed theirs. Every Christian should have such a direct, personal experience of God’s life-transforming power that they are impelled to passionately share the Good News of Jesus Christ and can speak to how their faith impacts the choices they regularly make. Head knowledge alone will not give people the drive and passion that the early church had. We should treat evangelism as a normal part of life based on our personal experience of God working in us. Our society is so hyped on personal autonomy that it has become fragmented into ever smaller groups of people with an overall diminishing of community and relationship. Yet people show how much they long for both through the use of social media. We can offer more than transient likes and virtual friendships. Social media is great for staying in touch, but it is no replacement for real, face-to-face, in-person friendships. We offer life in meaningful, close association with other people. Let’s be sure they find what they are looking for in our churches. McKnight’s thesis in Kingdom Conspiracy is that the kingdom is not built through political activity but through creating an alternative community within the church which is fully engaged with the outside world. We can’t overstate the importance of the quality of life inside the local church to the effectiveness of the church’s public witness. People today rely on big government and institutions to do what families and communities used to do in the past. Perhaps things were easier when we all lived on farms and had multi-generational families living together, but even so, we should show how people, by being more connected with each other, could at least partially replace government and institutional programs with something more human. The early church built an alternative community that cared for its own and featured relationships which crossed all kinds of boundaries: social, economic, racial, ethnic, etc. Modelling the kingdom of God in our church communities as best we can could have a very powerful effect on outsiders. We may feel powerless in exile, but Rabbi Sacks is quite encouraging when he notes that even though Abraham did not seek to impose his views on others, his contemporaries sensed there was something special, something godly, about him. Milchizedek, king of Salem, saluted him with the words, “Blessed be Abram by God Most High, Creator of heaven and earth” (Gen 14:19). The Hittites said to him, “You are a prince of God among us” (Gen 23:6). Abraham impressed his contemporaries by the way he lived. He didn’t force or even urge others to live his way. He was true to his faith while blessing others regardless of their faith.11 We can do the same as a minority community in a host society. We need to do good, and do it sacrificially. We must evangelize, and be sure to talk about both life in heaven and on earth. And we must ensure our church communities are truly caring communities. Key Point: Doing good deeds is basic to being human. What the church really offers is a distinct, alternative society.